Copier Settings Built-in Wireless. Built-in Wireless LAN (802.11b/g/n). Fax Settings Key Features User's Guide. Print Speed. Print Resolution. Model PIXMA MG3520. Family Line Canon Pixma. 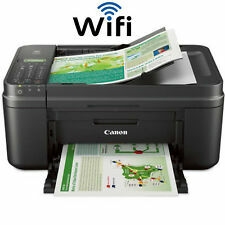 The Canon MG 3520/3620 WIRELESS All-in-One Printer. Printer Type All-In-One Printer. Canon support Extend Printer Technology Inkjet. Interface USB 2.0, Wireless. 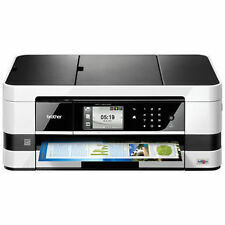 451 product ratings451 product ratings - NEW Canon Pixma MG3620/3520 Wireless All-In-One photo Printer/copyer/scaner-NEW! (Cloud connectivity lets you scan to popular Cloud services directly from the printer. Prints up to 12 ISO ppm in black, up to 6 ISO ppm in color. for info on print speeds.). The printer monitors its own ink levels, so you'll only receive ink when you need it. 4 Bottles of 100ml High Quality Sublimation Ink are installed into your CISS. CISS arrives installed for you! (we do the hard part for you). WeSETUP your CISS Kit - They don't! 10 sheets of 8.5" x 11" Sublimation Paper. Laser-sharp black and color text - crisp fonts and precise lines on plain paper. Wireless and Wi-Fi Direct - print from iPad, iPhone, tablets and smartphones. Get Performance Beyond Laser. Fast printing - professional-quality prints at speeds of 19 ISO ppm (black) and 10 ISO ppm (color). Trending at $122.15eBay determines this price through a machine learned model of the product's sale prices within the last 90 days. PIXMA MG3020 White Wireless. 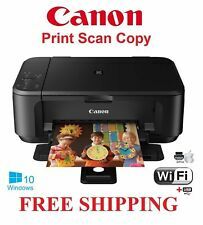 Canon Pixma MG3020 Wireless All-In-One Inkjet Printer White - 1346C022. The PIXMA MG3020 features enhanced connectivity so you can enjoy the simplicity of connecting your smartphone, tablet and computer with ease. PrecisionCore is the next generation of inkjet printing technology. At the core of this proprietary technology is the PrecisionCore MicroTFP print chip, a digital chip that produces dots at the micron level — 1/100th the size of a human hair. It can print up to 60 plain paper sheets or 20 photo sheets per tray, and it does it all in crisp detail due to the Full-Photolithography Inkjet Nozzle Engineering (FINE) printhead and ink combinations. Epson ET2750 All-In-One Inkjet Printer. Condition is New. Shipped with USPS Priority Mail. 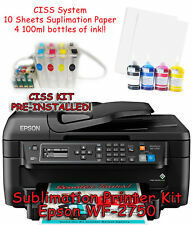 4 Bottles of 100ml High Quality Sublimation Ink are installed into your CISS. CISS arrives installed for you! (we do the hard part for you). Printer is wireless and supports wireless printing including Airprint. Built-in Wireless. Built-in Wireless LAN (802.11b/g/n). USB cable not included. USB 2.0 port. Print Speed. Black: Up to 13.7 ppm; Color: Up to 7.3 ppm. Black: Up to 11 cpm, Color: Up to 5.5 cpm. Fax Settings. Epson ET2750 All-In-One Inkjet Printer. Condition is Used in great condition Shipped with USPS Priority Mail. Includes a two-year limited warranty with free online, call, or live chat support for the life of your printer. Prints up to 12 ISO ppm , up to 10 ppm in color. The printer monitors its own ink levels, so you'll only receive ink when you need it. 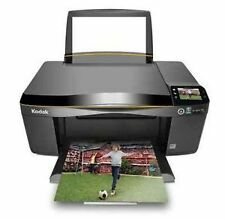 Use the built-in card slot (1) to print borderless photos PC-free. The compact XP-440 allows you to print from virtually anywhere, with or without a network — even from your iPad, iPhone, Android tablet or smartphone (2). 4 Bottles of 100ml High Quality Sublimation Ink are installed into your CISS. sUBLIMATION PRINTING SYSTEM. 10 sheets of 8.5" x 11" Sublimation Paper. Bundle includes Built in scanner. 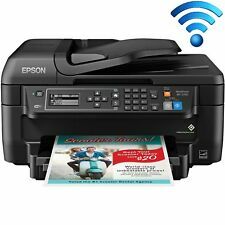 Printer is wireless and supports wireless printing including Airprint. Pixma MX532 - A4, 4800 x 1200 dpi, 5,5 ipm, Fax, USB, Wi-Fi, Full dot LCD Printing has never been more convenient with the PIXMA MX532 Wireless Office All-In-One Printer. 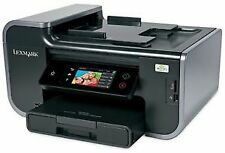 You are bidding on a brand new unopened HP Officejet 250 All-In-One Mobile Printer (actual item pictured) with Free Shipping to lower 48 states only via UPS ground service. Bid with confidence check my feedback! Thanks! 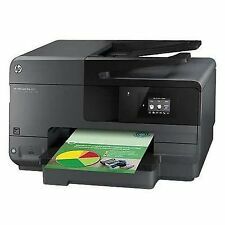 Color:Black | Style:Printer Need a versatile, quality printer that will fit into a tight space?. the Canon PIXMA TS6020 wireless inkjet all-in-one printer fits the bill. Stylish & compact. Item model number: TS6020 BK. 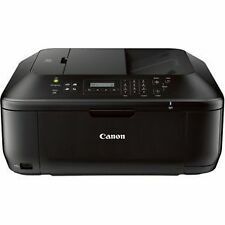 Canon PIXMA MX340 All-In-One Inkjet Printer. This printer has been tested and works great. Includes the Power Cord, Phone Line and USB Cable. Print quality is quite simply impressive, as the PIXMA TS5020 printer uses a five-ink system which even prints beautiful borderless photos. Connecting your devices is also a breeze via your choice of Wi-Fi, AirPrint, Google Cloud Print, USB, SD Card, and even directly from the Cloud.